While we still have time before the inevitable machine uprising, we can use AI for our benefit. 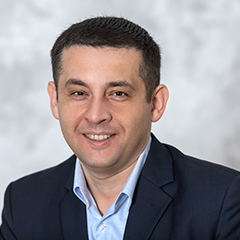 Chatbots (or “artificial agents”) are one of the more popular implementations of it. The experiments show that sometimes they can be indistinguishable from a real person. So it’s time to take a closer look at the examples of chatbots’ roles in helping us learn and teach. It is hard to study a foreign language if there is no one to practice with. That’s where chatbots come in. They can somewhat accurately simulate a human and help learn common words and expressions. 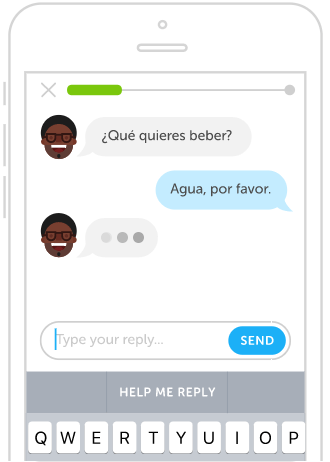 Duolingo added this feature to their iOS app back in 2016 and made the bots available to the users who have already made it past the first couple lessons. AI simulated several personalities, like “Chef Roberto” or “Ada the Officer”, intended for different situations and having different manners. The bots were capable of some natural language processing. And in case the user got stuck, the app had a “Help me reply” button. In April 2018 the company released an update which temporarily removed the virtual talkers. But the developers promised to return the conversations “in a more integrated way”. 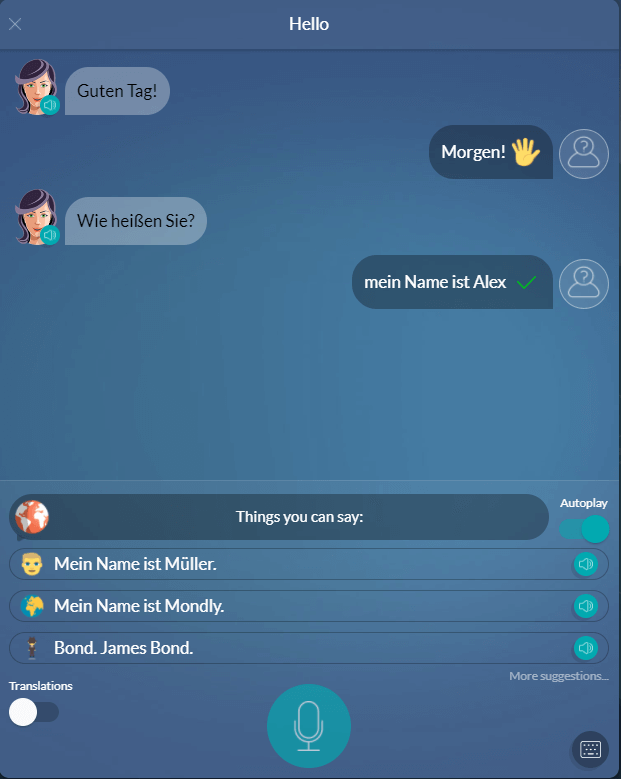 Mondly is another popular language learning app featuring a chatbot. It is available in 31 languages and is capable of having conversations on several topics. Most of the phrases it understands are preprogrammed and shown as suggestions. But it can adapt to some extent. The bot only understands the words that are correctly spoken and records your speech so you can improve your pronunciation. The chatbot is available as a part of the main app and can be accessed from any platform. For mobile users, Mondly has gone a step further and released an augmented reality (AR) app, which brings the virtual language assistant to your room. At the moment it is available only on certain Android smartphones. But the developers are working on an iOS version and adding new languages – AR chatbot only speaks 7 so far. “Of course, Mondly is not as smart and realistic as Joi [Virtual assistant from “Blade Runner” – A.K.]. Yet. But she can teach you 7 languages. 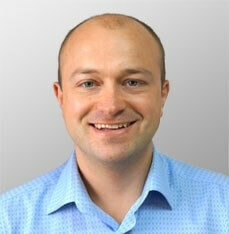 And this is just the beginning,” Mondly CEO Alex Iliescu said. Mondly also has a virtual reality app with chatbots available for Google Daydream. It can teach 30 languages and includes 5 real-life scenarios like a taxi ride or a hotel check-in. Despite some users complaining about bugs and speech recognition issues, it has reached over 1000 downloads and has a 3.5-star rating. Computer replacing a teacher is still a thing of science fiction. But answering students’ questions and helping them study is something AI can already do. 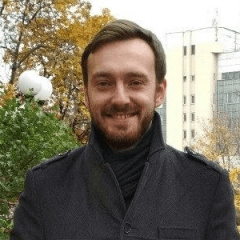 The first widely known case is that of “Jill Watson” – a teaching assistant that CS professor Ashok Goel has created based on IBM Watson platform. 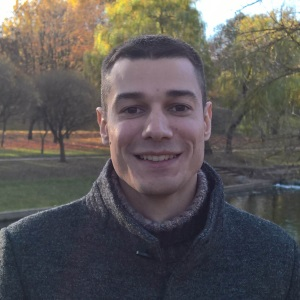 Goel has been training it on the repetitive questions posted on the university’s forum until it was able to answer questions with 97% accuracy. Most students never guessed that Jill was an AI and some even wanted to nominate her for an award. Australia’s Deakin University used the same platform for its award-winning “Campus Genie” chatbot. It is a powerful tool which can do more than just answering frequently asked questions. Genie helps students structure their learning time, reminds about pending assignments, informs about interesting local events and even helps pay for parking. It can also be voice controlled, so the users can talk to it as if it were a real person. And if the bot can’t help the student solve their problem, it can redirect them to a human assistant. 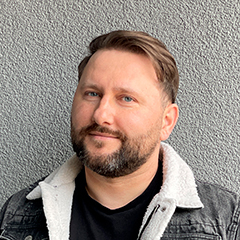 "We need to build the best version of the future for our students, meeting them where they are in their own lives and engaging with them in a way that is intuitive and inspiring," William Confalonieri, Deakin University Chief Digital Officer said. There are other, more specialized chatbots. The Technical University of Berlin has Alex, which focuses on information about the courses – their names, location, credit score, and link to their detailed description. And Georgia State has Pounce helping students enroll. Need your own chatbot? Contact us for a free quote! Seeing students’ performance is easy for a teacher. Understanding which of your methods helped achieve it is another thing entirely. To gather feedback teachers can use surveys, or turn to the AI. Enter Hubert. It is a chatbot-based platform for course evaluation and teacher self-improvement. Replacing the traditional surveys, Hubert talks to students via a special messenger and processes their feedback to create a report. It uses the “Stop, Start, Continue” questioning method and lets the teacher know what is working well, what is ineffective and what else can they implement. 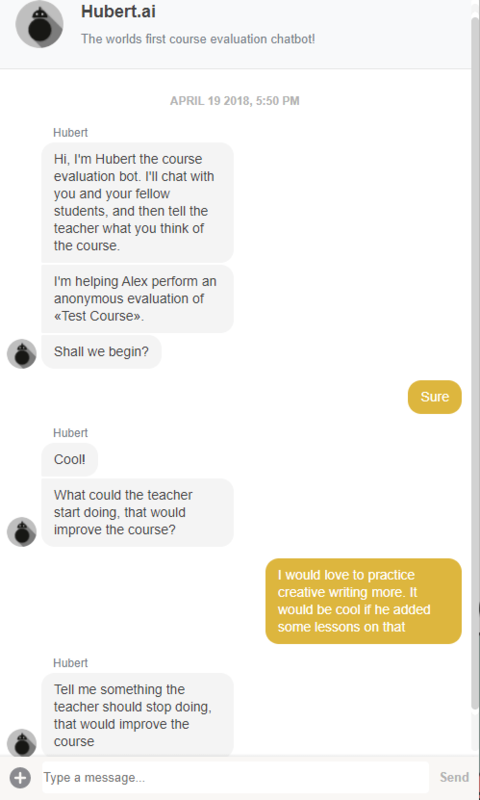 Chatbot doesn’t ask for any personal information, only the feedback about a course. It is accessible to students from an invitation email or via a direct link to the survey. People who received the email from the bot will also receive reminders if they haven’t given their feedback yet. As the answers are coming in, Hubert analyzes the semantics of what the students have said and prepares a report that a teacher can review in detail. It contains the strengths and “improvables” lists, as well as the overall experience estimate and various stats. It even has a “time saved” block. Belitsoft specializes in both chatbots and e-learning. If you have a project in mind, contact us for a free quote. No strings attached. Corporate learning is not something people love. But it doesn’t have to be this way. And when the companies compete for better employees, good learning opportunities can be an edge. Chatterbite, for example, offers a Facebook messenger bot which trains and quizzes employees. It is designed with microlearning approach in mind – small chunks of information for brief attention spans. 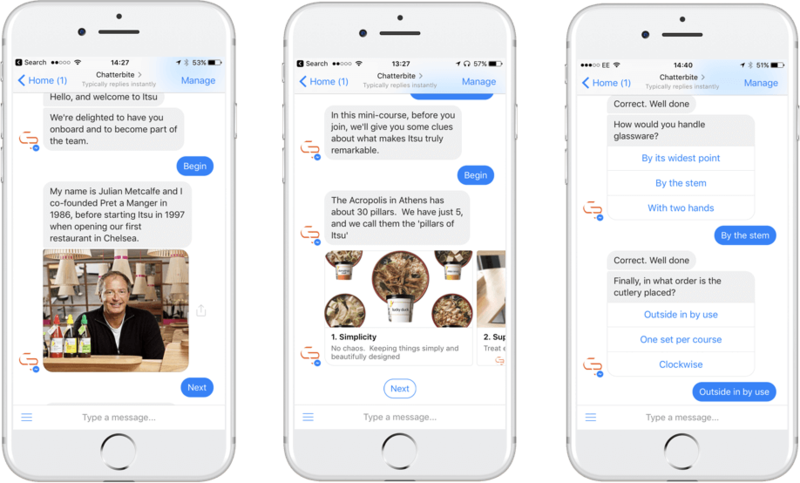 The bot can adapt messages to individual employees and boasts a 98% engagement rate. 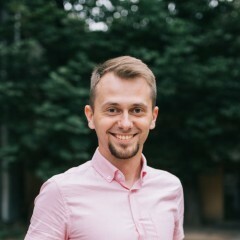 The Chatterbite team claims that their bot can save employees about 2-5 days per year which would be spent on actual work, rather than study. Personalized learning is one of the top trends right now. Just as chatbots are. No wonder people look for ways to combine them. Released a month after Facebook messenger, MOOCBuddy was a bot for finding the right Massive Open Online Course (MOOC). Services like Coursera or edX made online learning widely available but choosing the right class was still a problem. 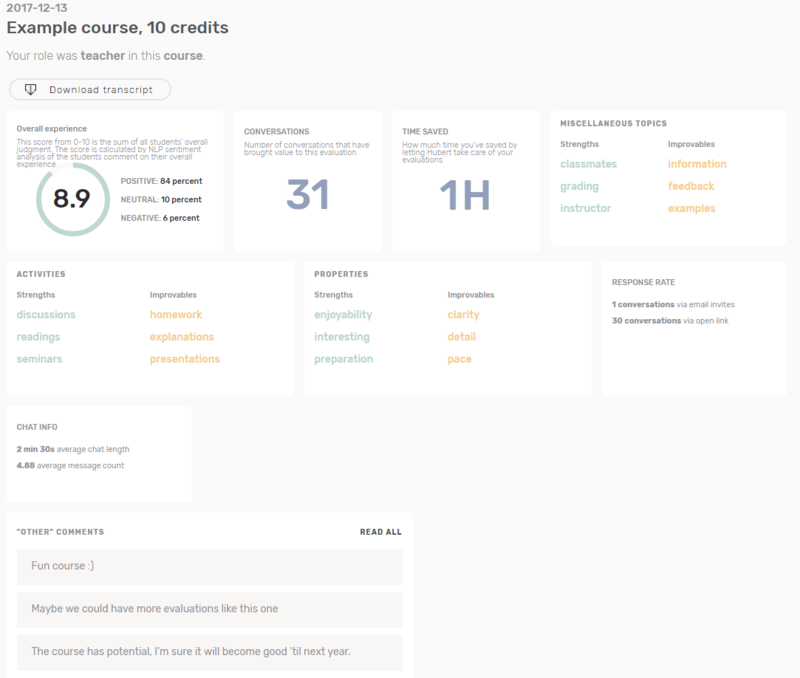 MOOCBuddy talked to people and suggested courses based on the topic, language, duration, accreditation and several other factors. It also sent reminders and updates, unless the users opted out. MOOCBuddy was likely the first chatbot of its kind, but at the moment it is no longer available. The concept is still alive, however. Magpie continues the idea. Besides suggesting optimal courses based on user’s profile, it can also recommend educational information in public domain: TED, HBR, BBC and more. 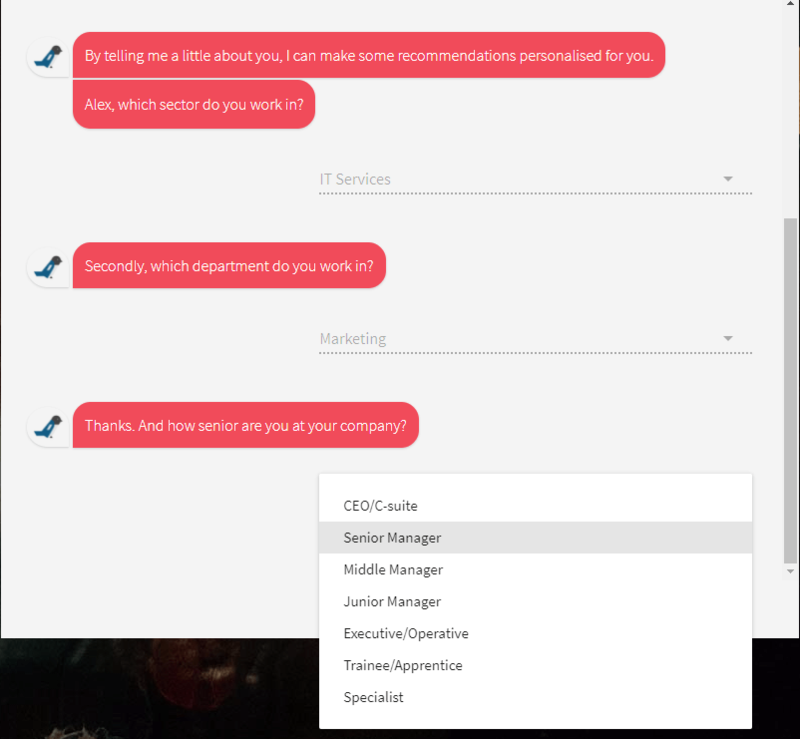 The bot begins by asking user several questions to determine their job, position, and industry. That is enough to get a quick recommendation. But if the user provides details like workday structure or skills self-assessment, Magpie can create a detailed list. The bot doesn’t eliminate human involvement. The content that it suggests is taken from a database approved by living, breathing editors. Chatbots still have ways to go before they can really be entirely self-sufficient. In most cases, they are scripted and limited in understanding of natural language. When used wisely, however, they can be an extremely valuable tool in many fields from sales to learning. Feel like starting your own eLearning project yet? Hire a dedicated team for it!